In the Mountains of central Costa Rica, high above the San Jose and sometimes even above the clouds, lies the Dota Valley. The valley is shallow, its sides alternating between gently sloping, bucolic fields and steep, dense forest. The people who live in Dota look upon the valley from all sides with a curatorial fondness and appreciation for not only the natural beauty of the valley, but also for the peace of the pura vida that they have created for themselves and their community. And throughout all of this, there is coffee, planted all along the valley: out in the open, under banana trees, along the bottom of the valley, and on the sides of hills so steep it would seem impossible to harvest their fruit. But every year, the fruit is harvested, carefully, by hand, and brought to Coopedota. The Coopedota compound is the beating heart of the Dota valley, responsible for both the economic and the social vitality of the area. Coffee beans stream in from farmers all across the valley – some in wheelbarrows, some in pickup trucks – and are deposited at the mouth of the coffee mill. It is also the cultural hub of the area: its main coffee shop bustles every day with locals from all walks of life, checking in with each other, creating community, enjoying an espresso. Much of the community works at, or with, Coopedota, and the café has become something of an unofficial town hall. The citizens of Dota are in many ways a large family, and Cooepdota is a family affair. Before the 1950s, the Dota community farmed their land mainly for sustenance. Coffee bushes grew well in the area, but they didn’t bring in much money – the closest coffee mill was still very far away, and it bought the beans at a very low price. 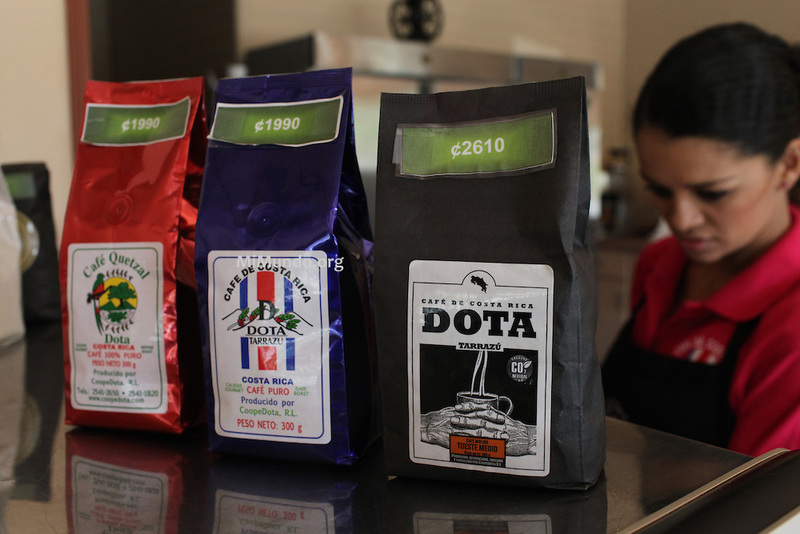 The world hadn’t yet discovered Costa Rican coffee, and the people of Dota didn’t yet understand the nuances of coffee cultivation. However, they saw in coffee an opportunity to take fate into their own hands. In 1960, a group of 96 coffee growers pooled their funds, and purchased a basic coffee mill. On October 14th of that year, Coopedota – the Co-op of Dota – went into operation, giving the community control over the coffee they grew. Since then, the Co-op has only grown, bringing in more farmers, upgrading their machinery, and investing in local coffee production. What makes Coopedota so special is that it is a collective endeavor based on cooperation among growers rather than competition between them. And the same spirit of working together for the common good that inspired the original 96 farmers now extends to the entire community: every farmer that comes to Coopedota can expect not only a good price for his or her beans, but also assistance from the Co-op in the form of financial support, training, and use of the facilities. For example, many Dota farmers wish to switch from industrial agriculture techniques to organic farming, as this raises the value of their beans and eliminates the cost of pesticides and fertilizers. But the process of switching requires learning an entirely different set of farming methods, and production drops for a few years after the transition. No individual farmer, acting alone, is capable of making the switch. But with the co-op lending the expertise and helping to subsidize the costs of switching, many farmers have been able to start growing organically. Coopedota wants farmers to switch to organic farming, and not just because the organic beans are worth more. Sustainability is a guiding principle of the organization, and has been from the beginning. They recognize that looking out for each other means looking out for our planet as a whole, and that means being environmentally friendly. Coopedota is the first and only coffee producer in the world to produce a carbon neutral coffee. In a traditional business sense, Coopedota has done a lot wrong – they pay above market price for their coffee beans, they sink money into things like organic and carbon neutral farming for which there is no proven market, and they invest heavily in their community without worrying about a return. But Cooepdota has never been about making a profit or even about growth – it began as a way to support and empower the farmers of the Dota valley, and in that it has succeeded wildly. Coopedota’s coffee is consistently ranked among the top 10 coffees in the world, a result of both Dota’s ideal climate and the investments the co-op has made in helping its members perfect their growing methods. They supply beans to some of the world’s highest quality roasters, including Intelligencia and Stumptown coffee, they stock every McDonalds in Costa Rica, and their coffee is a staple in the country’s hospitality industry. Recently, they started selling through Whole Foods in the US. They have had enormous success with their coffees – and every cent of profit has been invested back into the Dota Valley. 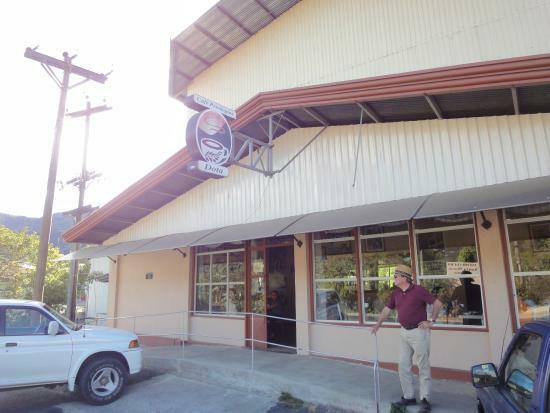 Despite its success, Coopedota will never be a big player in the global coffee game. It will never compete with Starbucks, turn a massive profit, or even operate outside the rural mountain valley it inhabits. But none of those things matter. 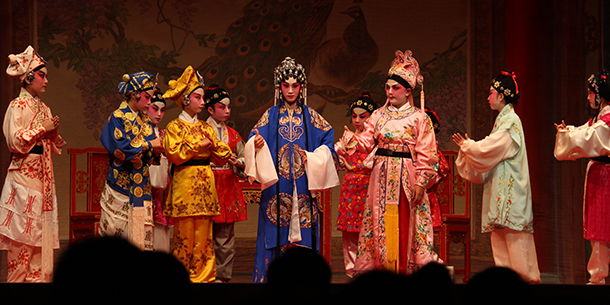 Success, for Coopedota, is a thriving Dota valley. As long as the people of Dota are supported, empowered, and happy, then they can count themselves as having done well.